This beautiful bay colt has a bright future! He is a brother of many of our champions and will be a very good size. He is strong with excellent gait and temperament. 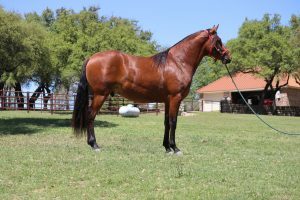 He is the full brother of PVR Montezuma, who has been a Champion of Champions Luxury Gelding many times.